My latest piece for the Norwegian American is out now, and this one’s special: it’s a joint piece with my friend Christy! We worked on this piece together for the annual gift guide, so our recipes are for simple gifts from the kitchen. 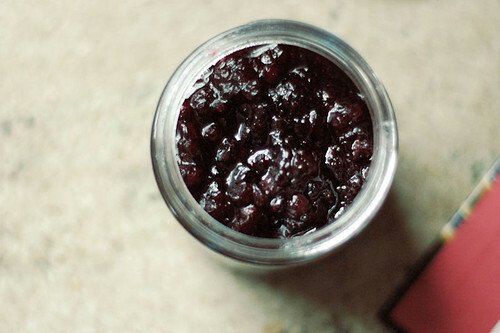 My contribution is a quick recipe for a staple in my kitchen, lingonberry jam, and Christy provided recipes for homemade vanilla sugar and the slightly more unusual cardamom syrup (which I’m dying to try). You can find the recipes for all three right here. I first encountered æbleskiver*, Danish pancake balls, at the annual Yulefest celebration at Seattle’s Nordic Heritage Museum. As you wait in line (there’s always a line – they’re a popular item) you can watch a line of volunteers, each with their own portable burner and æbleskiver pan, as they tend to their batter with long, thin wooden sticks, rotating the balls to form perfect spheres composed of the lightest, fluffiest dough I’ve ever had. 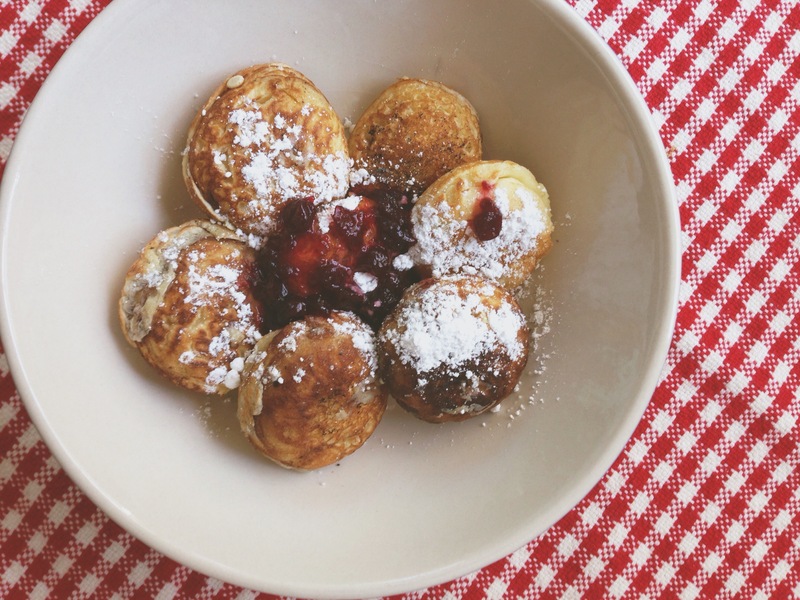 Only slightly sweetened, these pancake balls are served topped off with powdered sugar and either applesauce or lingonberries (at the museum, that is – elsewhere you might find them filled with applesauce or jam instead). The word æbleskiver is actually composed of two Danish words: æble, meaning “apple,” and skiver, meaning “slices.” Given the name I can only assume that applesauce is the more traditional of the two toppings, but I’ve always gone for lingonberries. I’ve also had these delicious pancake balls at Broder in Portland, a wonderful Swedish restaurant that’s been a favorite of mine since my first trip to Portland. 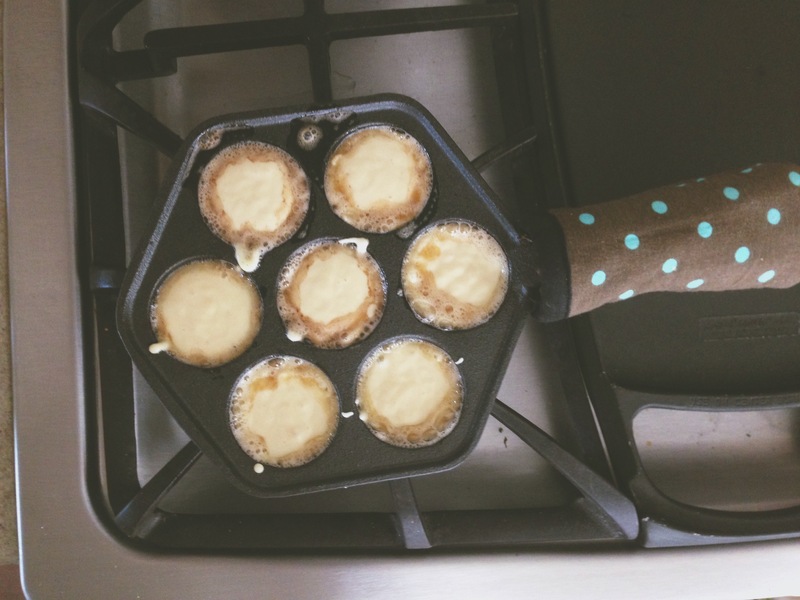 My husband and I have been going through our house in preparation for a move to Norway (you can read about that here) – lots to pack, lots to find new homes for, lots to figure out what to do with – but in going through our kitchen I discovered a cast iron æbleskiver pan in the back of a cupboard. I think we must have bought it during the holidays sometime in the past few years, but forgotten about it after it went in the cupboard in the madness of holiday travel and all of that. In any case, I doubt the pan will be coming with us to Norway, so I decided it was high time for me to try making some æbleskiver of my own, before we find a new home for it! The dough itself is quite simple with relatively few ingredients – simpler than any of the other Nordic pancakes I’ve made, at least. 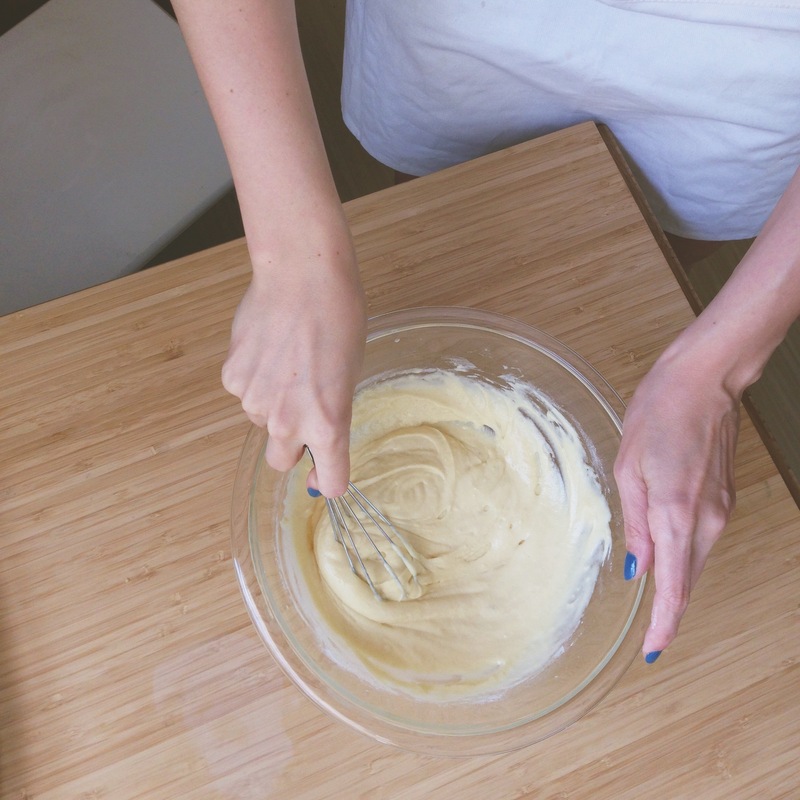 Some of the ingredients need prepping – the milk needs to be heated to lukewarm, the butter needs to be melted, and the egg whites need to be whipped until stiff – but once you’ve done that you’re almost ready to hit the pan, really. I think my technique could probably use some work, though, because most of my pancakes came out shaped much more like macarons than like balls. Still, they were delicious all the same! 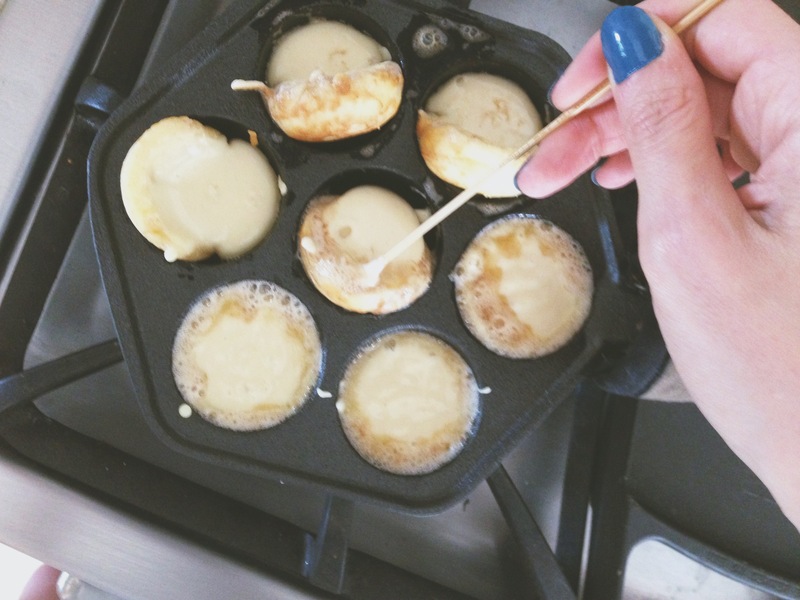 Æbleskiver are made with a special pan, with half-sphere indentations in which the pancakes are cooked. When the surface of the first half has cooked, you use a long, thin stick (made of metal or wood) to turn the spheres so that the rest of the dough forms the other half of the ball. I have a feeling it takes some practice to get pancakes that are perfectly round. I served mine up the way I like them – topped with powdered sugar and some lingonberry compote (homemade, in this case). They were a lovely Saturday afternoon treat! *Beatrice spells this recipe “aebelskiver,” but I’m more familiar with the common spelling æbleskiver, so that’s what I’ve used here. The second half of the word sometimes gets spelled “shiver” in English, because of how the “sk” sound is pronounced. It’s been an insanely busy fall (I put out a collection of knitwear patterns) and an insanely busy holiday season (we had friends staying with us all week last week) so my Scandinavian baking skills have been lying somewhat dormant. I baked a couple of apple pies around Thanksgiving, as I’ve been getting really into heirloom apple varieties and my local farmer’s market sells some wonderful ones, but otherwise there hasn’t been a ton of time for baking. In need of some last minute gifts and some alone time in the kitchen, I pulled Scandinavian Christmas by Trine Hahnemann down off the shelf. The book was a Christmas gift from my folks last year, but once Christmas is over, you feel a bit silly doing anything remotely Christmas-themed, so I hadn’t had a chance to try out any of the recipes. One of the sections in the book focuses on gifts from the kitchen, and I’d been itching to make some of the lingonberry compote. And so I did! It’s hard to think of anything simpler. 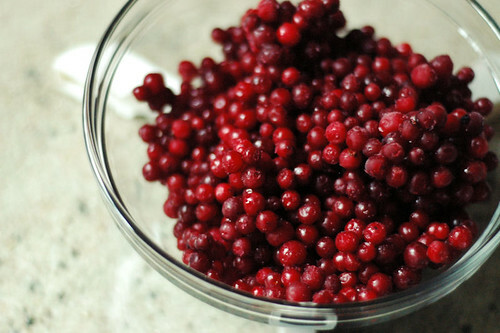 Assuming you can get a hold of lingonberries (you can find frozen berries in Seattle, fortunately), it’s a recipe for instant gratification. 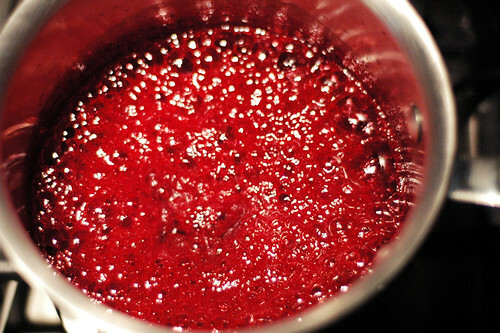 The process is basically just creating a reduction out of berries, water, and sugar, and it takes less than half an hour. Sometimes the simplest things are the most satisfying. 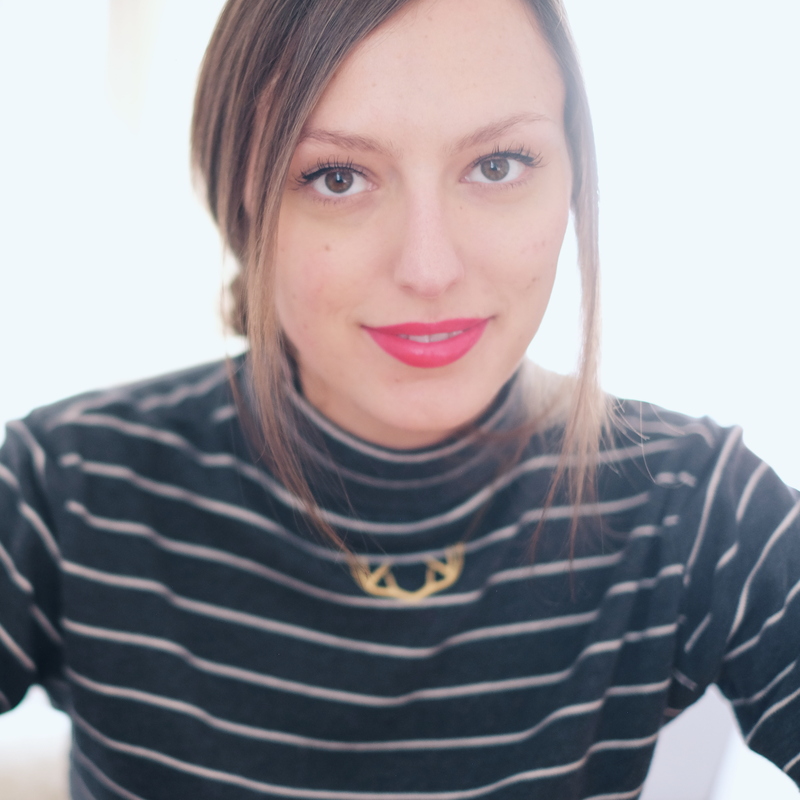 I'm Dianna, and this is where I document what I bake out of Nordic cookbooks. You'll mostly find documentation here, but occasionally I share original recipes. Read more here. 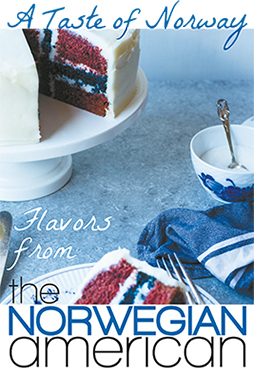 By popular demand, a third printing of the cookbook featuring recipes from The Norwegian American is now in stock and available here.